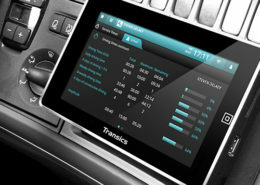 TX-CONNECT is the centre of all fleet management activities. 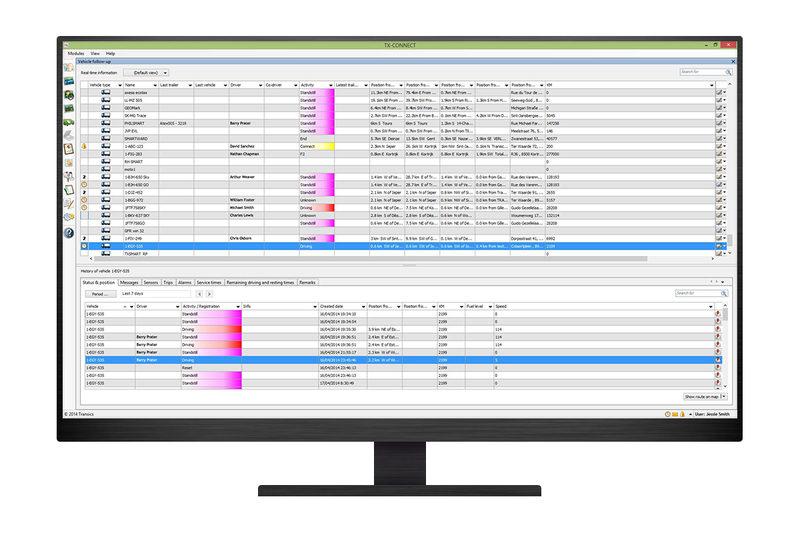 It guarantees real-time fleet information, from departure to arrival. 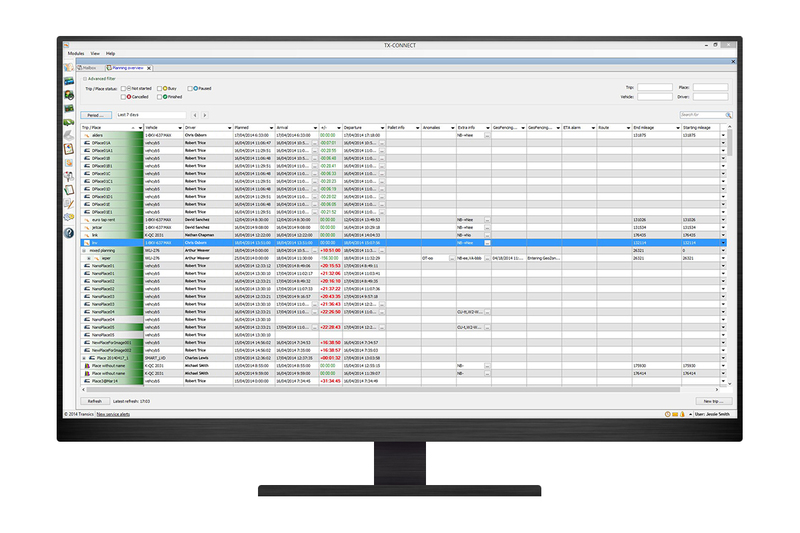 Moreover, the platform can be easily integrated into other software and reporting tools. Avoid empty trucks and find freight offers with the real-time freight search engine directly in TX-CONNECT. Valid for all customers with a freight exchange subscription. For more information, contact us. 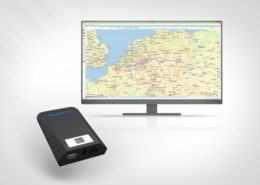 By integrating TX-CONNECT with vehicle peripherals and connecting it with other office software, the platform ensures a consistent management of all your trucks, drivers, trailers, cargo and orders. Track your vehicle and trailer positions and check live traffic information. 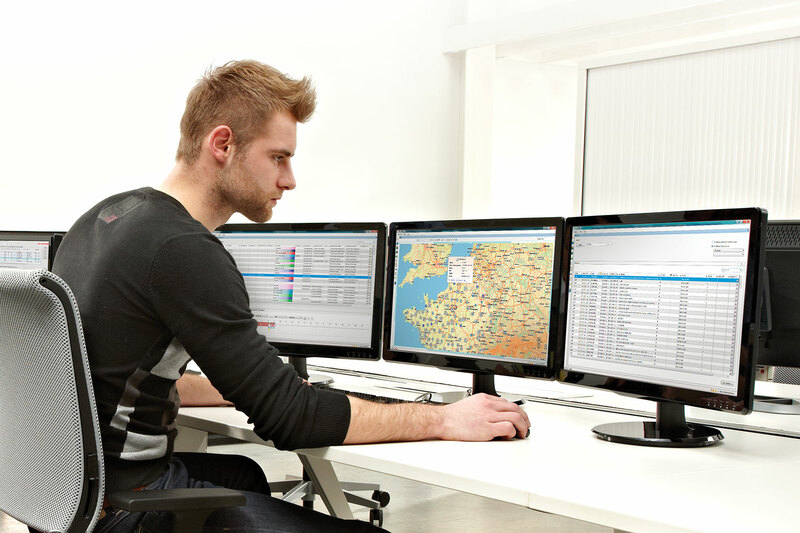 Make the life of drivers and dispatchers easier with extended search capabilities, Points of Interest, GeoFencing alerts and route management. Easily search available freights for your vehicles by integrating with online freight exchange portals. 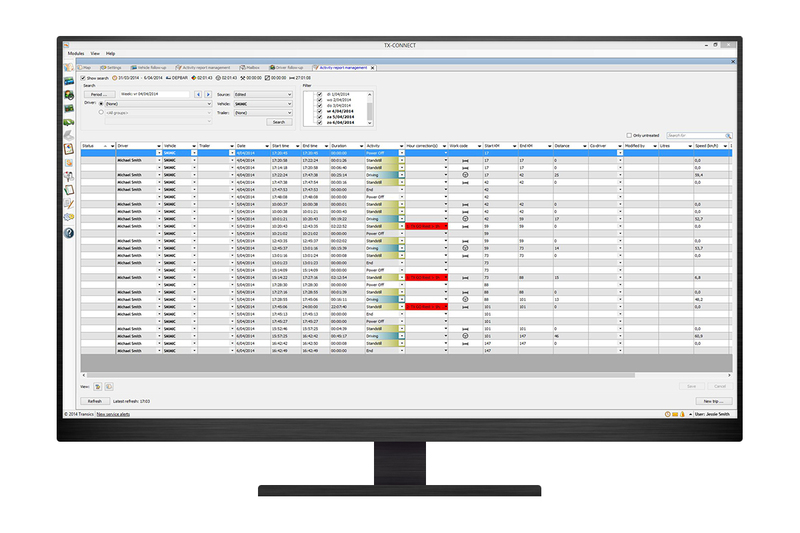 Follow up both real-time and historical data of your vehicles and trailers. Check on position and activity. 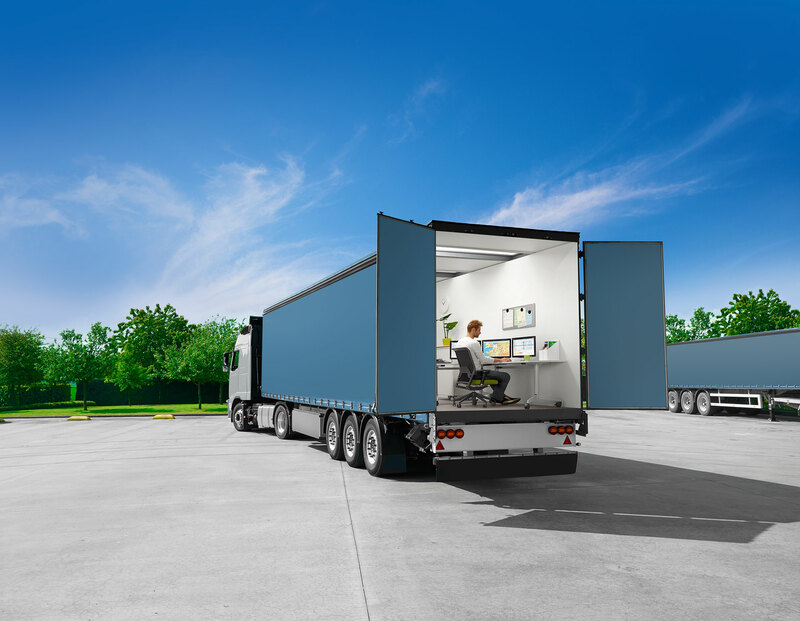 See which vehicle is driving which trailer and verify the trailer temperature zones. Anticipate on the arrival of the vehicle at its next destination. 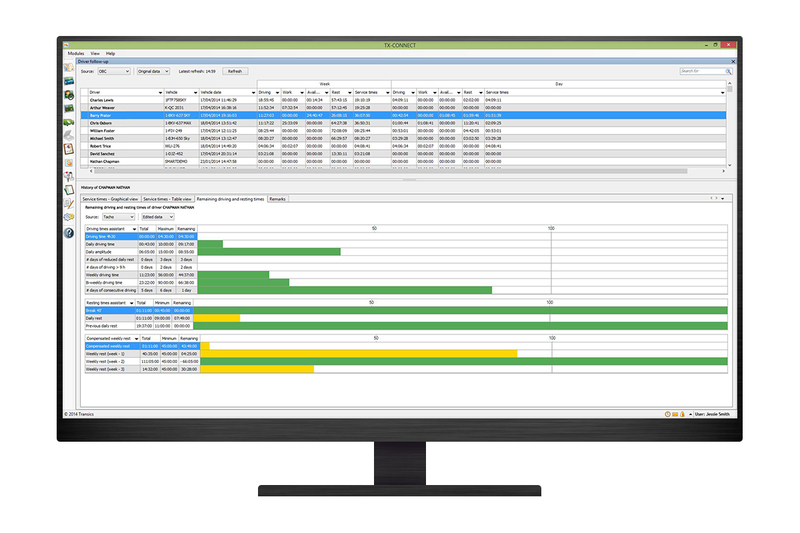 Follow up both real-time and historical data of your drivers and co-drivers. Check which vehicles they are driving, which trailer they are pulling and their activities. Verify their driving, resting and service times and anticipate on their remaining driving times. Exchange text messages with your drivers and use an automatic translator for your communication with non-native drivers. Define your alarms and check on real-time alerts coming from your vehicles, e.g. 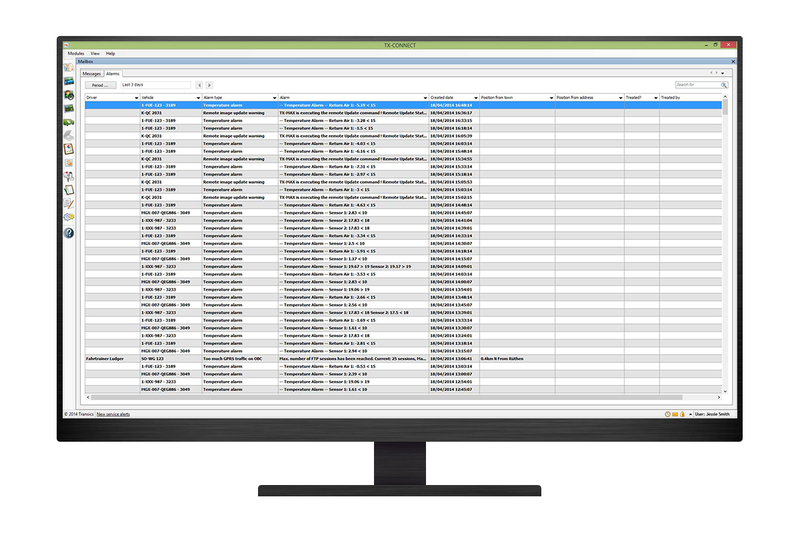 speed, GeoFences, driving times, duration of activities … Treat them directly or export them for further reporting. Check the status of all your sent trips and have an overview of the driver info per trip. 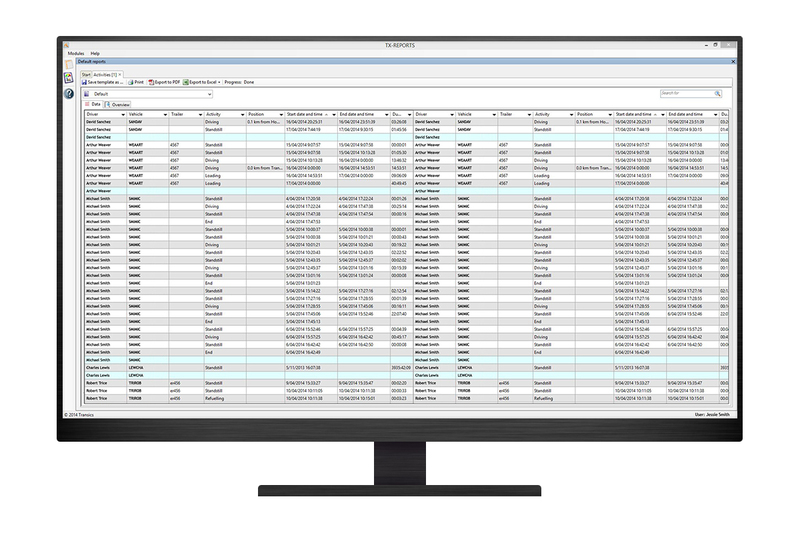 Check your driver’s activities and refuelling registrations and apply corporate rules: automatically correct mistakes or abuse in driver registrations. 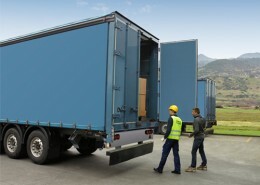 As of April 1st, 2016 at midnight, a kilometer charge for trucks of more than 3.5 tons takes effect in Belgium. 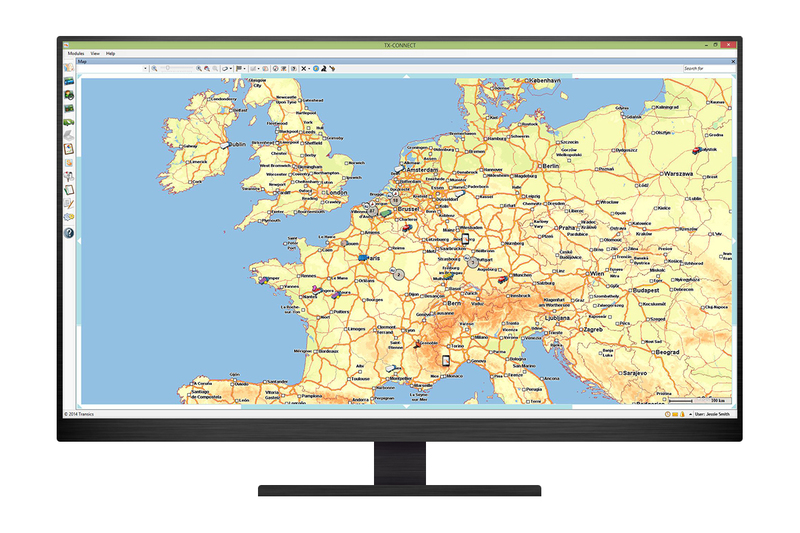 To support transport companies to comply with this new and other existing international toll road regulations, Transics provides a route calculator in TX-CONNECT that visualizes the detailed toll cost from your starting point to your end point. TX-CONNECT is at the heart of our solution. It can be combined with all other products in our offer. 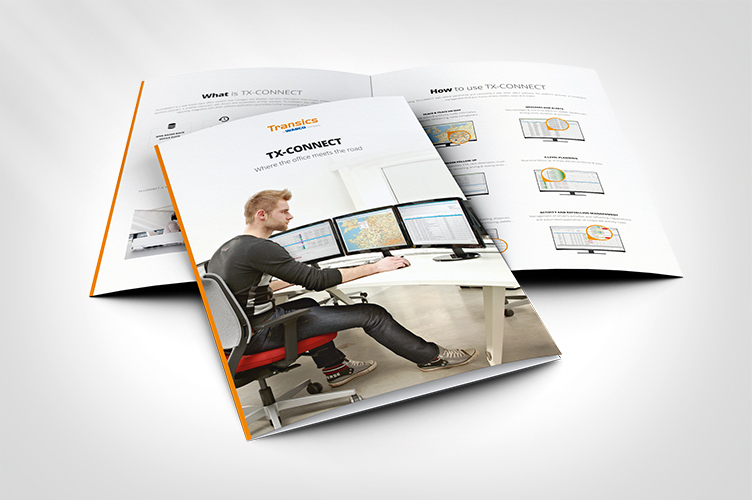 Let us show you how TX-CONNECT can benefit your company. Just give us a call or complete the contact form.